Michelle C. Thomas, Esq. is a veteran trial lawyer and the founder of M.C. Thomas & Associates, PC, a sophisticated divorce and family law firm serving Washington, D.C., Northern Virginia and Suburban Maryland. Michelle has been repeatedly recognized as a Top Rated Family Lawyer in Washington D.C. by SuperLawyers, and has spent her career handling complex divorce litigation, high net worth divorce, and contested custody cases for traditional and non-traditional families. Michelle is a seasoned trial lawyer who works closely with clients to identify their goals and develop strategies to help achieve them. She has extensive experience skillfully protecting assets through pre-nuptial and post-nuptial agreements, post-separation planning and aggressive litigation as necessary. Among the property issues Michelle handles are the distribution of stock options, securities, deferred compensation, business valuations and protection, real estate holdings, private and governmental retirement benefits, professional goodwill for athletes and corporate executives, hidden assets and more. The firm works with tax consultants and other financial professionals to incorporate tax planning into settlement negotiations and trial strategies. Michelle is keenly aware that families often benefit from resolving matters outside of court, and understands the complexities involved when a family is dissolving. Michelle is also a regular in local and national media, including the Washington Times, Washington Examiner, ESSENCE magazine, the Michael Baisden Show, Fox 5 news, News One Now with Roland Martin (WOL/Radio One), and a frequent contributor to call-ins on The Audrey Chapman Show (WHUR), The Daily Drum Show (WHUR), and Law Talk with Ethel Mitchell (WOL/Radio One) where she provides insight on a wide-range of divorce and family law topics. As a leader in the legal community, Michelle has addressed her colleagues on topics from trial advocacy to family law and business, and has been a featured speaker before such groups as the National Bar Association, the District of Columbia Bar, the Women’s Bar Association of DC, the Washington Bar Association, and the Greater Washington Area Chapter Bar Association. She has also been a guest lecturer at The George Washington University Law School, Howard University and Morgan State University. Today, Michelle is an active leader in her profession. She has been elected to the D.C. Bar Board of Governors, appointed chair of the Practice Management Service Committee of the D.C. Bar, and elected president of the National Bar Association's Division for Young Lawyers. She served on the Nominations Committee of the D.C. Bar and the Board of the Women’s Bar Association of D.C. Foundation, as well as President of GWAC, the National Bar Association's Women Lawyer's Division's D.C. Chapter. 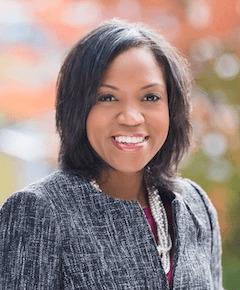 As a result of her contributions to the legal community and reputation and work as a skilled trial divorce lawyer, Michelle has received several awards and recognitions, including being named the Young Lawyer of the Year by the Bar Association of D.C., a Top 40 Under 40 Lawyer by the National Bar Association, a Top 100 Lawyer by the National Black Lawyers, a 10 Best Client Satisfaction Family Lawyer in Maryland by the American Institute of Family Law Attorneys, and repeatedly named a SuperLawyers Rising Star in Washington, DC in the area of Family Law. Michelle graduated from the University of North Carolina at Chapel Hill and The George Washington University Law School. For current information on divorce and family law, follow the firm @divorcelawfirm. Washington Examiner, "No, You Take The House!" Washington Examiner, "Washington Lawyers Bank on Divorce for Gay Couples"